The body of Rosalie Gagnon was discovered outdoors near a home in Charlesbourg. 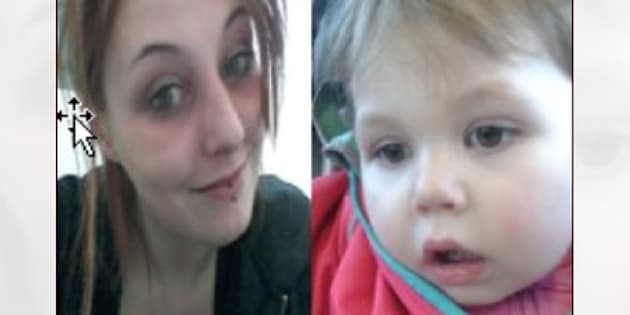 QUEBEC — A Quebec City mother was charged Thursday with arson and obstructing the work of a police officer in the death of her two-year-old daughter. Local police had recommended Audrey Gagnon, 23, be charged with murder but the Crown did not lay that charge. Rosalie Gagnon's body was discovered in a garbage can outside a home in the city's Charlesbourg district on Wednesday and she was pronounced dead in hospital. Quebec City police told HuffPost Quebec Gagnon injured herself while in detention, and has since been hospitalized. The accused's bail hearing has been set for next Wednesday. The investigation was triggered after the discovery of an empty stroller near a park. Police say they tracked down Audrey Gagnon a few hours later without her daughter. Authorities say they also spoke to a man found with the mother, but that he was released hours later.